To view this job/internship listing, you must be a currently registered OSU student and have an existing Beaver JobNet account. If you are eligible and do not have an account, register now. 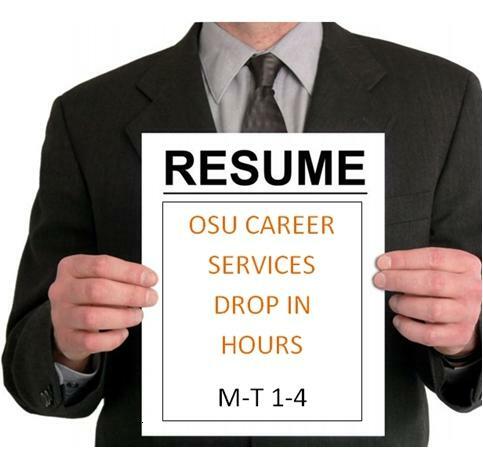 Beaver JobNet is a great way to get your job or internship search started. Meet employers from a variety of organizations. For more information log into Beaver JobNet by clicking this link. The Agricultural Systems Specialist will be responsible for ensuring that existing orchard systems are performing optimally and will also support in the layout and installation of new systems. This includes overseeing the maintenance and operation of frost and irrigation systems, coordinating in-field activities related to new orchard development projects and understanding horticultural equipment requirements. This position will partner with outside vendors to source materials and supplies, as well as improved solutions or information to meet departmental needs. This position is located in Medford, Oregon. •Knowledge of modern irrigation practices, components and system operation. •Ability to diagnose and repair frost and irrigation system malfunctions, including automated filtration systems. •Facilitate the movement of critical knowledge and information pertaining to orchard systems between orchard employees, management and vendors. •Maintain relationships with existing vendors and build opportunities with new vendors. •Assist in the procurement of horticultural tools and supplies. •Maintain fallow land records, leases and communications with tenants. •Assist with the coordination of daily farming activities. •Support harvest operations logistics including fruit hauling and dispatch activities. •All other duties assigned by the manager. Experience: One year of work related experience preferred but not required. •Bilingual (Spanish/English); Spanish first language preferred. 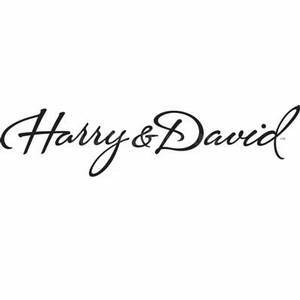 •Great interpersonal, written and verbal communication skills to interact with employees, vendors and management. •Knowledge of computers; MS Applications to include: Outlook, Excel, Access, PowerPoint. •Knowledge of mechanical systems and components. •Knowledge of the work field; keeping in touch with industry standards and new developments in area of expertise is necessary to formulate successful solutions to problems in agricultural systems. 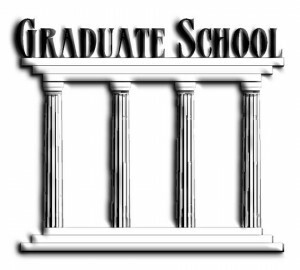 Make Sure You Do Your Research to Find the Grad Program that Fits! Week 9, can you believe it?? The Career Changer is back to tell the penultimate episode of her wavy career path, a career path that continues on in this moment, as I sit here at my desk in Career Services at OSU. But cutting right to it, when I left off last time, I was working as the Director for a nonprofit in Colorado. Yet no matter how much I enjoyed that work, I knew that I wanted to be in higher education, advising students, using some of the administrative, leadership, and team building skills that I was cultivating in my work as an office manager for a real estate agency and a nonprofit administrator, as well as my teaching and tutoring background. I realized, as I was applying for the jobs I really wanted at colleges and universities, that I might not have the degree that most applied to my field of interest. I was definitely competing against applicants who had a degree directly related to advising and educational administration. I needed one of those degrees if I wanted one of those jobs. So, I began the search for my next graduate school. This time, my process of searching was much more intentional. I took note of the degrees that colleges and universities preferred their applicants to have. For instance, many of the job descriptions I looked at that sounded exciting to me would say, “Preferred Master’s in Higher Education, College Student Personnel, Educational Leadership, College Student Services, or Related”, so I was looking for one of these degrees. To search, I found professional organizations associated with higher education, several of which have databases that list graduate school programs in the field. I examined programs’ courses of study, their placement statistics, their requirements, and their mission statements and values. A priority for me in a school concerned location; I didn’t want to attend a school in a community in which I did not want to live. The opportunity for funding was a huge factor as well, as I did not want to graduate from a program with an enormous amount of debt in my mid-thirties, and I also wanted job experience to help me get my first position out of school. 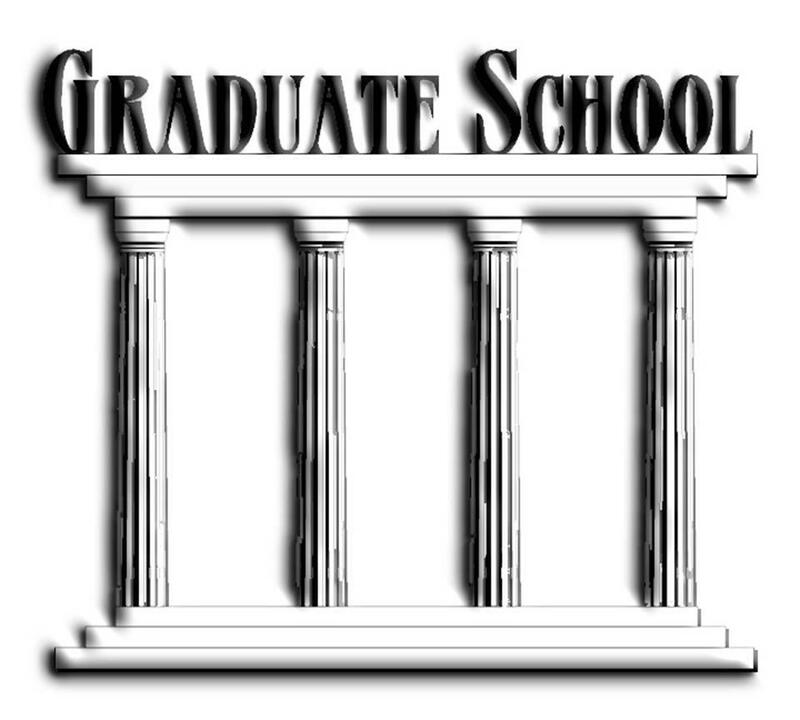 Graduate programs will often offer assistantships, for research, teaching, or administrative work, in exchange for a monthly stipend and a tuition remission. These assistantships are amazing opportunities for students to fund their own education. In the end, I applied to just four institutions; four schools that I thought would give me the total package to graduate with the experience and knowledge to get the position of my dreams. When you are considering graduate school, it is important to do this level of research. Because graduate programs can last 2, 3, 5, or even 7 years of your life, you want to ensure that you will learn and grow in the ways that you intended and also in ways that may be surprising. Ask yourself what your goals are and how each program will help you achieve those goals. Also, talk to current students and faculty. Do you fit with the program and the campus culture? In my case, it was clear to me after my interviews that I wanted to be at OSU. This worked out well, since here I am, blogging to you all! Have a great end of the term, and I’ll be back finals week with some closing thoughts about what it means to forge your own wavy path through your vocational life. There isn’t a right way, just a right way for you! Jessica Baron is currently a Graduate Assistant in Career Services at OSU and a full time student in the College Student Services Administration Program. Before making her way to Oregon State, Jessica worked as an actor, waiter, online tutor, receptionist, college composition instructor, creative writer, gas station attendant, nonprofit program director, writing workshop leader, high school drama coach, Hallmark card straightener, substitute teacher, real estate office manager, and SAT tutor, not necessarily in that order. Her “Confessions of a Career Changer” will focus on her wavy career path and the challenges and joys of wanting to do everything. Posted in Career Changer, Graduate and Professional School. What personal achievements did I attain abroad? How can I apply my new language skills? What challenges did I face abroad and how was I able to surpass with my personal strengths? Did I contribute to any projects, philanthropy or volunteer work while studying aboard? How did this experience shape my views of working and living with people from diverse backgrounds? Think of how this experience will benefit you when you can list on your resume that you have lived and studied abroad. What new skills or knowledge did you gain from being an intern? Is your internship relevant to the position(s) for which you applying? These are some key components that can help you improve your resume appeal. Don’t forget to consult with Career Services if you have any questions about enhancing your resume. Job/Internship of the Week-Automatic Data Processing Inc.
Automatic Data Processing, Inc. (Nasdaq: ADP), with about $10 billion in revenues and about 570,000 clients, is one of the world’s largest providers of business outsourcing solutions. Leveraging over 60 years of experience, ADP offers a wide range of human resource, payroll, tax and benefits administration solutions from a single source. ADP’s easy-to-use solutions for employers provide superior value to companies of all types and sizes. ADP is also a leading provider of integrated computing solutions to auto, truck, motorcycle, marine, recreational vehicle, heavy manufacturing, and agricultural vehicle dealers throughout the world. This is a pre-entry level (intern) development position that works primarily in coding defect fixes, updating the group web sites, lab efforts, and unit test generation and/or tools evaluations. The individual filling this intern position will work with existing designs and code, testing integration, and supporting software products. Position implies a high interest in being exposed to all aspects of a software development environment. Position works in a variety of disciplines, stressing the ability to learn new technical skills. Beavers Beyond OSU is an opportunity for students and alumni to share a successful internship, career related experience, project or study abroad opportunity. Perhaps you’ve discovered a new passion or created a start-up. Or you’ve had a meaningful experience that can inspire and educate others on ways to find intentional careers. If you have a story to share, we’d love to hear from you. To share your story, please submit your interest below. What are your plans after graduation? I secured a full-time job at Kohl’s Department Store. What did you do to prepare for your job search? Before attending the career fair, I researched which companies were planning on attending the fair and targeted those who met my career goals. My goal was to work for a large retail company who could offer me corporate advancement opportunities. Then, I worked on customizing my resume to the company’s needs (as found on their website) and even ordered myself some flashy new business cards (courtesy of Vistaprint). I also invested time to pick out a business outfit and was ready to network. Tell us about your experience networking with the recruiters/employers. I connected with three of the four representatives –one of them was my former sorority sister (score!). They were very easy to talk to, very informed about the opportunities available, and super enthusiastic about me (and those business cards). What was the result of networking with the recruiters/employers? I was invited for an on-campus interview a few days later. How did you prepare for the on-campus interview? Preparing for the interview was much more work. I read almost every page on Kohl’s website –about their philanthropic work, their celebrity endorsed brands, their high/low pricing strategy –everything. I wanted to know as much as possible, both to ensure I was impressive at the interview and to make sure this was in fact a company I wanted to work for. I also scheduled a mock interview at Career Services. This turned out to be incredibly helpful. They helped me organize my thoughts and experiences into answers that would help me market my skills and talents to the employer. What happened after your on-campus interview? I was selected for a second interview. I credit my over-preparedness for my first successful interview. I totally would have cracked under the pressure if I hadn’t practiced my answers several times before hand. Tell us about your second interview. What happened? Kohl’s offered me the MIT position during my second interview. What skills and knowledge do you hope to learn while working at Kohl’s? I am definitely very excited about this opportunity. I would like to learn how to successfully merchandise store products, create sales projections and employee schedules, and explore the realms of Human Resources. I want to use these experiences to help me determine whether I want to manage a store, become a recruiter, work my way up the corporate ladder, etc. I am excited to apply my degrees to such a vast field. With so many retail-oriented jobs to choose from, this MIT program will bring me one step closer to finding my dream job. How did your education/experiences help to prepare you for this type of job? My classes, volunteer and work experiences prepared me for this opportunity. What information can you share with your peers who are preparing for the job search? I would definitely recommend having a mock interview to anyone who is serious about landing a particular job and to attend the career fairs. Marian Moore, Career Development Coordinator/Career Counselor in Career Services at OSU is passionate about empowering others holistically to find meaningful and sustainable careers that promote lifestyle optimization. Interests: Career Coaching, Talent and Human Capital Management, Curriculum Design and Development, International Education, Personal Branding, Organizational Development, Entrepreneurship, Global Economic Development, Human Rights and Immigrant and Refugee advocacy. Posted in Beavers Beyond OSU, Success Stories. Being a college student as well as an employee, I know firsthand how stressful life can become when it seems like there is never enough time in a day to accomplish the things you want or need to accomplish. However, there are many ways to manage your time and to cope with this type of stress you may endure throughout your life. Of course there are your priorities such as school and work but making sure you take a little bit of time out of each and every day to yourself is extremely important. When I say taking time for yourself, there are so many things you can do. For example, this could mean go workout for an hour, sit down and talk with your best friends, read a book of your choice, and so on. Just because your day seems overwhelming, you don’t have to let it be that way. A lot of people, including myself, get stressed out because they look at their schedule many days in advance and see all of the things they have to do that week. The best piece of advice I have ever received that I would like to pass on is to take it one day at a time. With that being said, the best thing I have ever done for myself was purchasing a daily planner. Almost every student I come across on campus owns one. If you would have asked me in high school if I would use a day planner in college, the answer would have been no, now it’s my life saver. I highly recommend keeping track of the things you need to do each day in either a daily planner or on some sort of calendar. 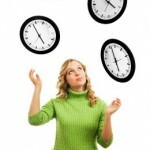 Doing this will eliminate the extra stress that comes along with the questions, “was I supposed to do that today, or what time is that event?” Sounds silly now, but once you find yourself asking those questions every single day it will get old and you will find yourself wishing you had it in a planner or calendar. With a busy schedule and never enough time in a day to do all of the things you had planned, just remember to take it one step or day at a time. 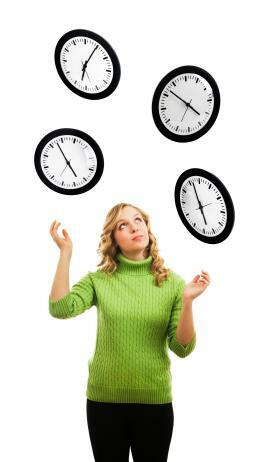 Finish the assignment or work task that needs to get done first and then worry about the rest as they come. Take time for yourself, write everything down in a planner, and as a benefit, become less stressed out. Career Services seeks a graphic design intern for the 2012/2013 school year, starting in summer 2012. The student will work as a member of a marketing team for Career Services and carry out the team’s vision through design work. This student will design all marketing material for student, faculty, and employer audiences, to include posters, flyers, promotional items, website images, brochures, and more. Hours vary, but average 10 – 15/week. The pay is $10/hour. To apply, email a resume and an electronic design sample to Jen Busick Stewart, Jennifer.busick@oregonstate.edu, by May 21, 2012. Howdy, Career Beavers blog readers! Week 7 of spring term already, and the Career Changer is back to continue the story of her wavy career path. All school year, I’ve been writing the story of the shifts and changes on my professional path that got me here to OSU after graduating with my undergraduate degree twelve years ago. In my last post, I told the story of how I began working as a real estate office manager in Colorado, a totally new position in a totally new industry for me. While I was contributing to this office, I was also keeping my ears open about other opportunities. One arose about nine months later that could be a good fit for my skills, experience, and personal goals. In the small town of Creede, the arts are very important. So important, in fact, that in addition to the Creede Repertory Theatre, there is a local nonprofit arts organization that sponsors gallery shows, arts education, art in public spaces, and other arts related events. The Creede Arts Council’s director was leaving after many years of building a set of programs that added value to the community, events that people had come to expect and count on to sustain them year after year. The Council needed a new Director. With my background in writing and theatre and because I had completed an internship in nonprofit development while in graduate school, I was chosen to direct this organization of very dedicated volunteers as they worked hard to provide arts programming for their community. This opportunity may not have happened in a big city, but the available candidate pool was small, so I got lucky! Because it was part time, I continued working in the real estate office while taking on grant writing, volunteer organizing, event planning, and marketing. Some of these tasks were brand new to me. Some of these tasks were new facets of skills I was already comfortable with. All of these tasks were a challenge, so I learned as I went, asked the board and the previous director lots of questions, and tried things out to see if they would work. I learned so many useful skills in this job that there isn’t the space to list them all. Looking back on it, I’m so glad I took a chance in applying, and they took a chance by hiring me! The most valuable skills I cultivated regarded working on a team while leading that team. A volunteer board hired me to manage them but also to serve their needs. I needed to balance my leadership style with the goals and purpose of my position, supporting everyone’s ideas and acting as a facilitator for conversations to decide the direction of the organization. So, many of the skills I cultivated in that job are skills I use today and skills I will continue to use in the future. However, I still knew I wanted to work in higher education. In Week 9, I will tell you about my next steps in achieving that goal. Have a great week! Posted in Career Changer, Career Exploration, Career Services, Internships and Experience, Success Stories, Workplace Success. Finding time to fit in a good workout with all the stresses of life can be extremely difficult at times. Some people workout at 5 in the morning, others ride their bikes to work, while some do not do anything at all. We at Oregon State University are pretty lucky because we have Dixon Rec Center, McAlexander Fieldhouse, the Covered Bridge loop, Bald Hill and so many outdoor recreational areas surrounding Corvallis. Unfortunately, someday (hopefully) we are going to graduate, and possibly (hopefully again) get real jobs, maybe even in an office. If you think finding time to workout now is difficult, just imagine how it will be when you have a job and a life to workout around. Working out is good for your body, reducing stress, your looks, reducing the chance of certain diseases and helping you age well. It can even boost your mood, improve your sleep and give you more energy, which could possibly help you with your work. Before you even leave the house you can start your workout. Try waking up just 30 minutes earlier to go for a walk, or perform chores at a faster pace to increase your heart rate. Instead of sitting while you watch TV be active on a stationary bike or try using weights. Every little effort you take will make a difference. You can even try talking to your employer about how they can help you stay active while at work, because a happy employee is a more productive employee. Finding a workout buddy at work can help by keeping each other moving, and maybe then you can start a lunch walking group, or even find time together after work to be active.